Recently married couple Anne Harris (Kelsey Deanne) and Harold Harris (Chase Austin) move into their dream home. Celebrating their recent purchase the Harris's invite their friends over for food and drink, this is where one friend tells them a story about a woman who killed her partner in the home they stand in. While Harold thinks the story is all made up, Anne begins to see a ghost in their home and she starts to lose her mind. With the over bearing mother in law to deal with and a husband who is constantly busy at work, Anne slips further into her mind. Is she really seeing ghosts or is it all in her head? DEAD STORY is one of those films that could go either way upon watching it but unfortunately it doesn't make the most of its ghost who looks like they belong in an Asian horror movie. Kelsey Deanne and Chase Austin do well in making you believe in their on screen relationship but it is Sheril Rodgers playing Martha (the mother in law from hell) who steals any scene she appears in with her rabid dog approach to her lines. The story of the ghost was a nice one but it didn't go far enough in making you fear for anyone's safety. 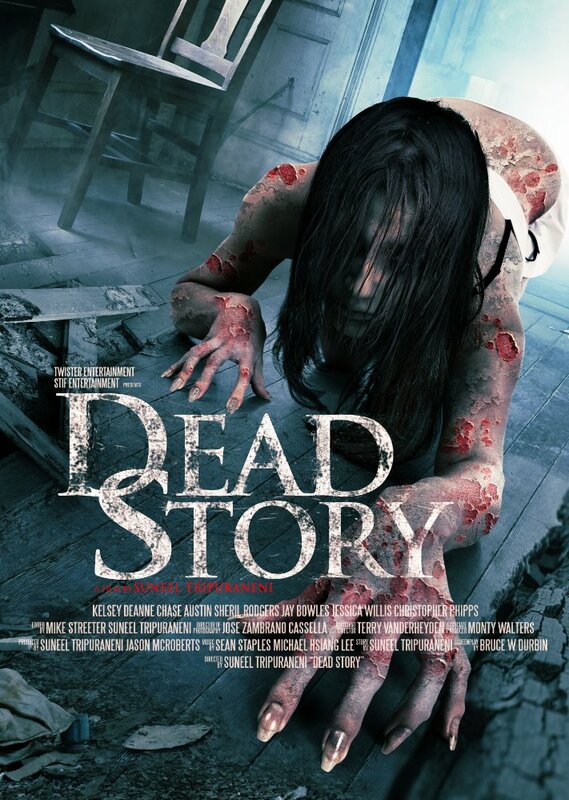 Nicely shot throughout with some great exterior shots of the surrounding area of the supposedly haunted home. There is a character in the movie who is not really essential, this must be very true because the character just disappears and nobody even cares. A mistake perhaps by the film makers but its enough to make you lose faith in the rest of the film. What is essentially a beautifully shot movie is let down by lazy writing and a ghost who is about as scary as a Scooby-Doo villain.